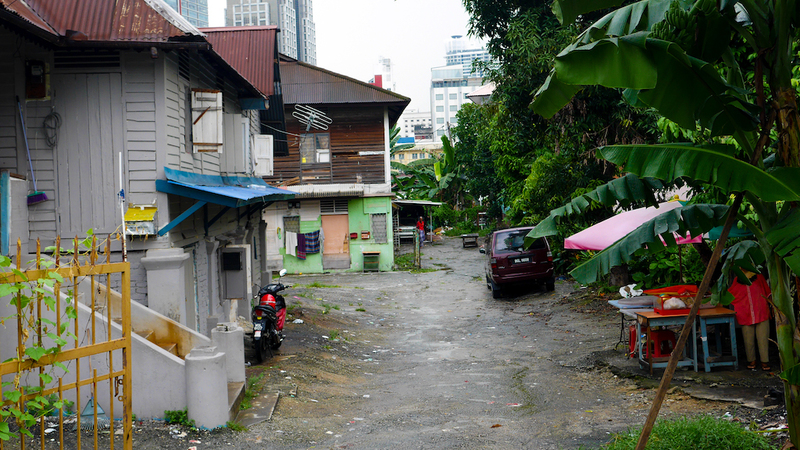 Kampung Bharu is living the irony of its name – in Malaya, it translates to the new village, but in fact, it is a 117-year-old bustling enclave right under the nose of colossal skyscrapers of Kuala Lumpur. 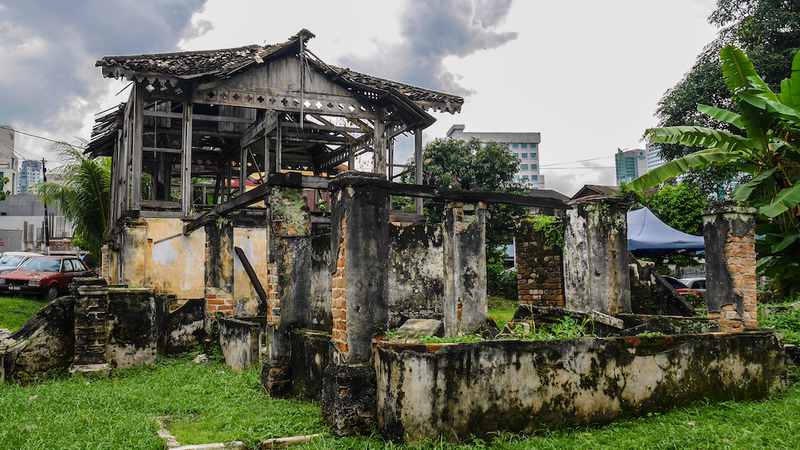 This piece of land which was given to the displaced Malay farmers, when Kuala Lumpur was transfiguring itself into the capital city, has now become a symbol of Malay heritage. The urban encroachment suggests its days are numbered and exactly why you should be visiting it now before it is gone. In the 1900s, the land, which was the property of the Sultan of Selangor, was opened to anybody who met the requisites – 1. Owned livestock 2. Married 3. Spoke Malay or similar dialect and 4. Practised Islam. Soon it was inundated with people came as far as from Sumatra and Java in Indonesia. Today, only 30% of the houses are occupied by locals, and the rest are leased out to foreigners mostly from Indonesia. The decrepit houses, by no means, have hindered the owners to charge high rents, owing to its strategic location. Masjid Jamek in the neighbourhood illuminates in blue and green every evening and is known for feeding 40,000 people with rice porridge every day during Ramadan. With majestic twin towers chasing on all sides, Kampong Bharu is more than it meets the eye. For years, the residents have resisted the modern construction to preserve the traditional living, but at the same time have ignored the maintenance of the existing structures. “You will see houses are left in the sad state as the ownership pattern is so complex that nobody wants to take responsibility. Each property may have as many as 120 people to claim for it.”; said Razak, my local Malay guide. He points out to an abandoned home, which later burnt in the fire, but is still upright. “It is in the same condition for many years. Nobody wants to sell it also because the land is worth million dollars”; said Razak with disappointment. Notwithstanding, some inside lanes of the locality do boast of old-style houses in fair condition. And these remain the last resort for the tourists or locals alike seeking to relive the Malay past. 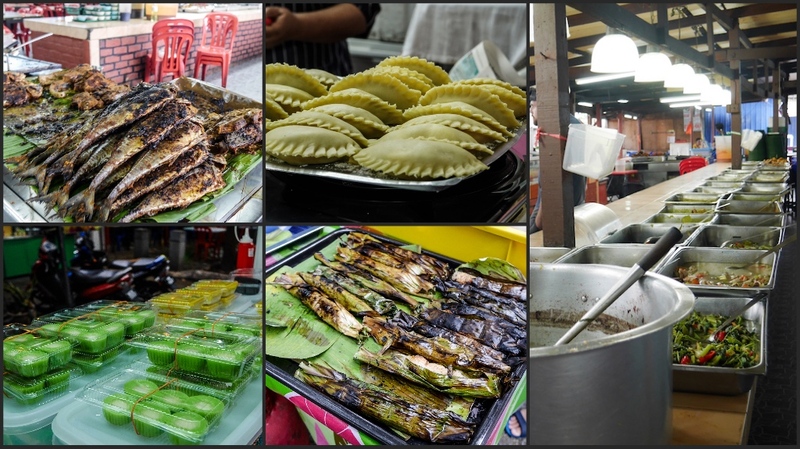 Kampung Bharu is the treasure trove of Malay food. Until now, I kept myself away from the delectable food on Jalan Raja Muda Musa, the Malay food street of the city. Here is where I found my sweet spot for Nasi Lemak, the national dish of the country. Before this, I just couldn’t make peace with the recipe, either due to the strong stench of anchovies or too fiery for my palate.! 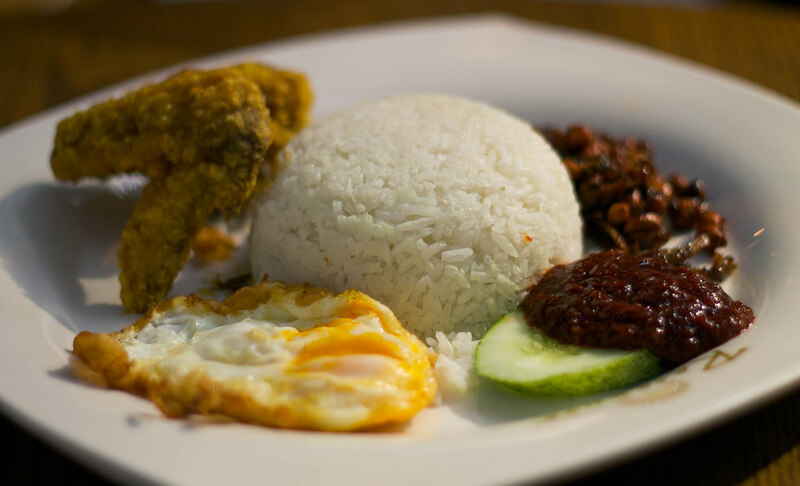 Nasi Lemak is a simple dish that can easily go wrong. An original version of it consists of rice cooked steamed in coconut milk and served with a spoonful of sambal (which is a chilli paste with onion or anchovies), fried anchovies, peanuts and cucumber are served on the side for crunchiness. Most people, including me, are happy to eat it this way, but many like to complement it with a gravy available at the shop. Some shops here have legend of their own such as Nasi Lemak Antarbangsa. “The name of this shop means Nasi Lemak International; it is because an British pilot, religiously used to get his Nasi Lemak packed from here. With him, Nasi Lemak also travelled around the world.”; said Razak. 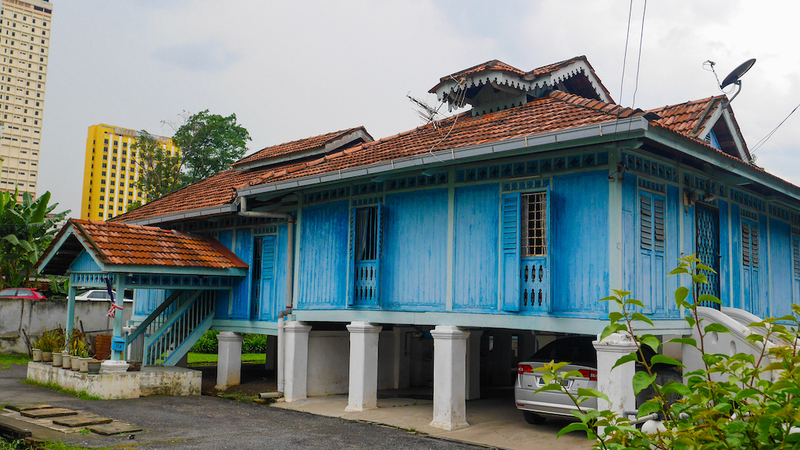 Kampung Bharu is a little speck in the urban jungle of Kuala Lumpur where you can still find the traces of Malay heritage. 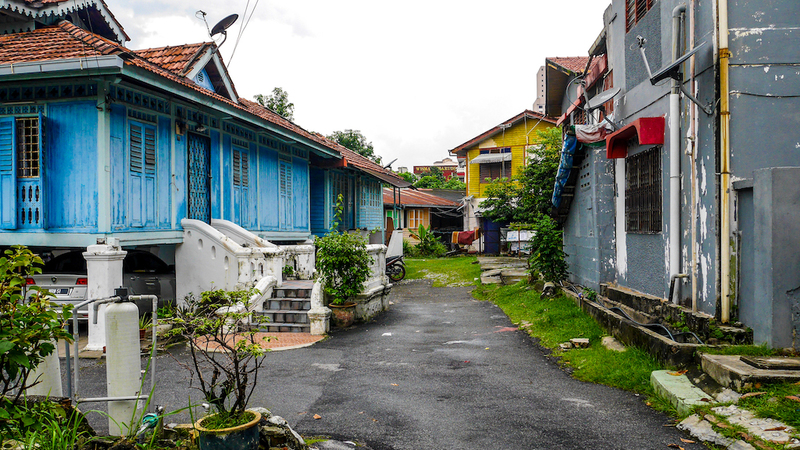 The streets of Kampung Bharu bring freshness to the otherwise overwhelming metropolis. Oh! Did I tell you about the tailors here who only stitch Malay cultural outfit? 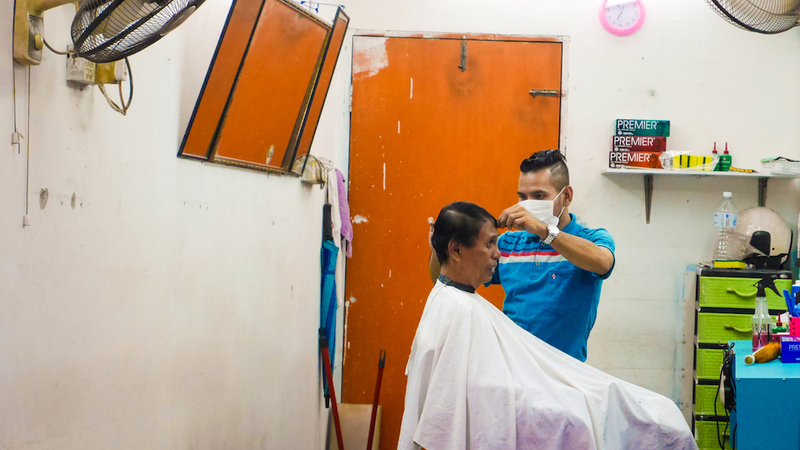 Or the barbershop where you can get a haircut in RM 7 (~US$1.60). Indeed you can visit this on your own, but the best way to experience Kampung Bharu is walking with a local Malay guide. I accidentally found the free guided tour – Jalan Jalan for Kampung Bharu offered by Visit KL and it was beyond my expectations. I can highly recommend the walking tour of Kampung Bharu which runs every Tuesday, Thursday and Sunday at 4.30 pm and lasts for 2.5 hours. It was a long walk but worth it! You can book your place for the tour by sending mail to pelancongan@dbkl.gov.my or call on +67 603 2698 0332.